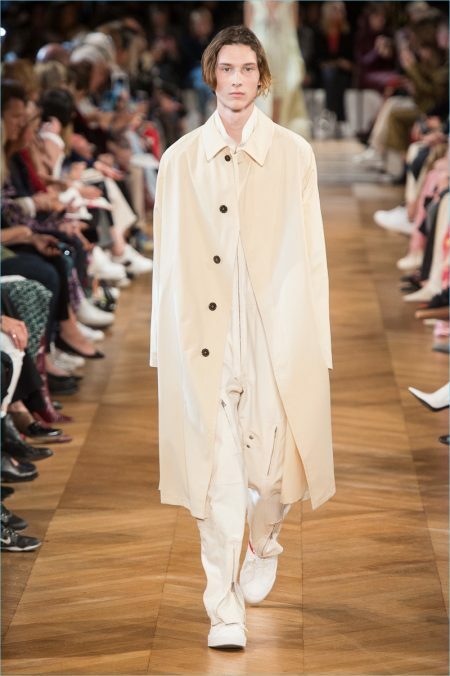 Stella McCartney's spring-summer 2019 collection takes flight with a soft and airy attitude. 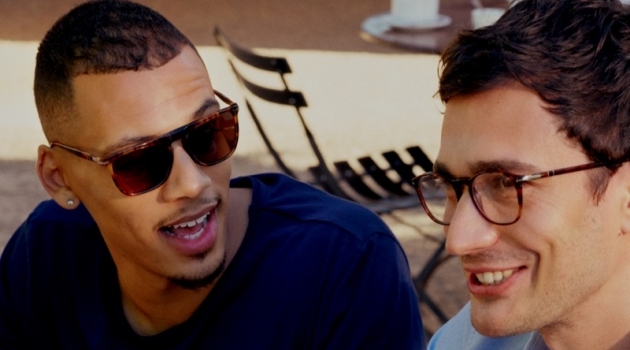 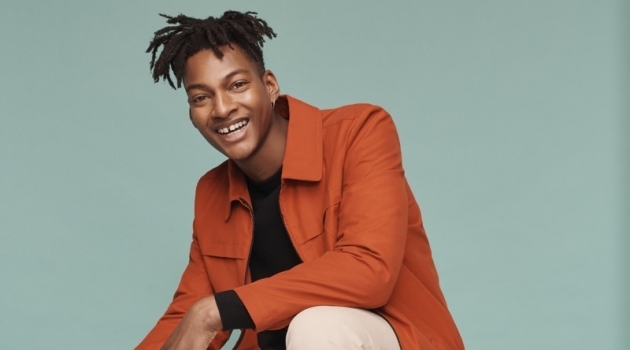 Relaxed proportions reflect a calm demeanor for McCartney's man this season. 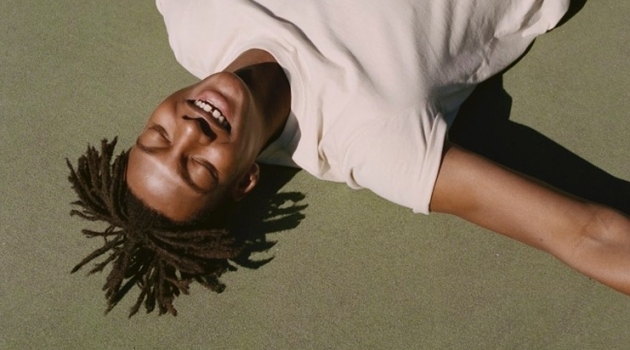 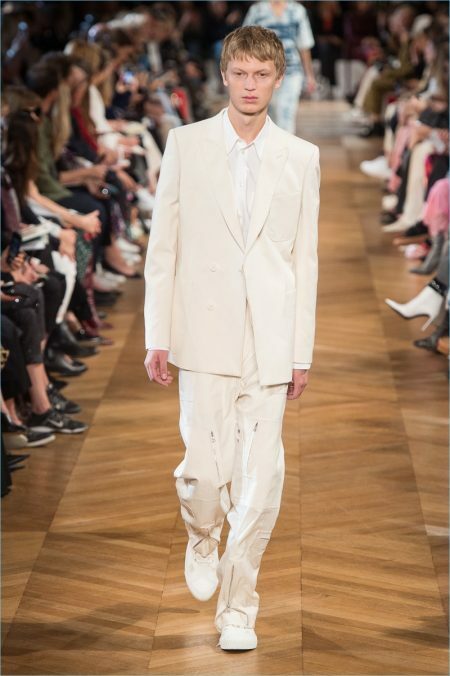 Neutrals convey effortless sentiments as menswear icons receive carefree loose silhouettes. 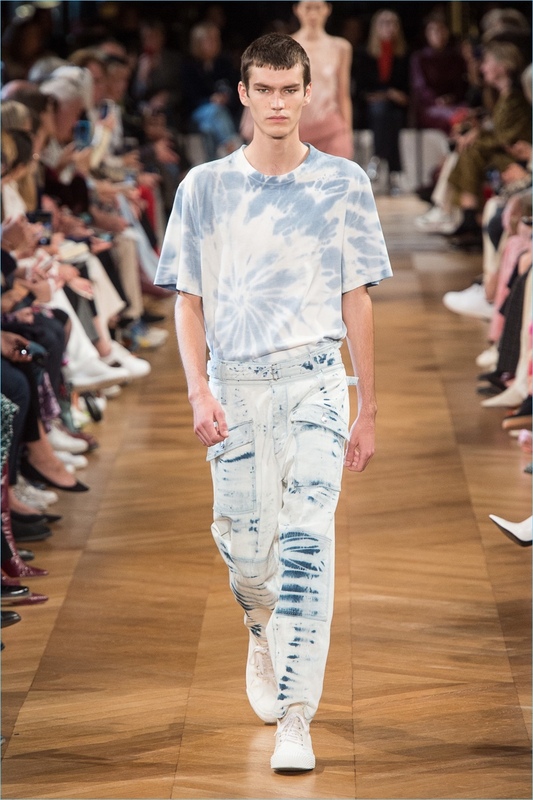 Meanwhile, McCartney mixes and matches natural hues for endless inspiration. 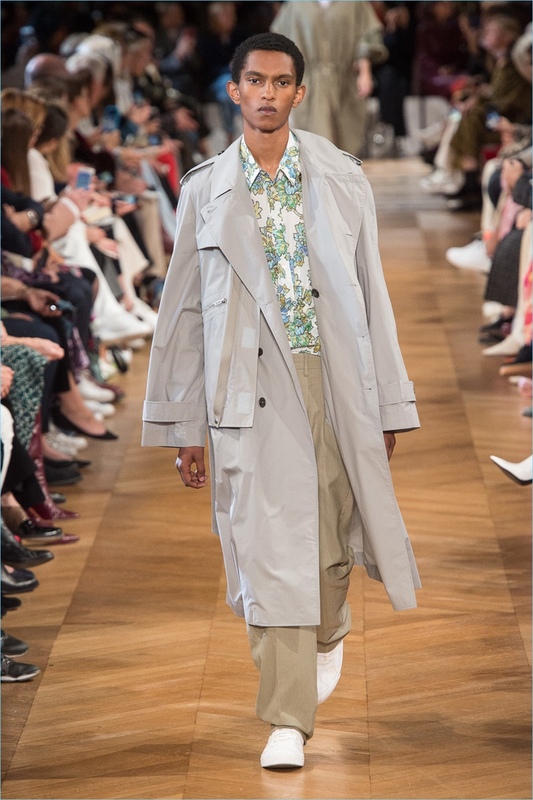 Key takeaways from the collection range from chic trench coats and cargo trousers to boxy tops. 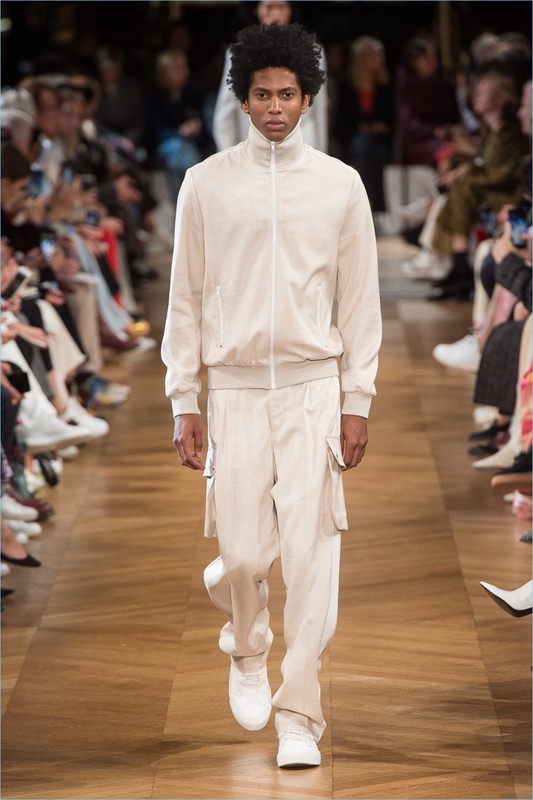 Rafael Mieses sports a chic take on the tracksuit from Stella McCartney's spring-summer 2019 men's collection. 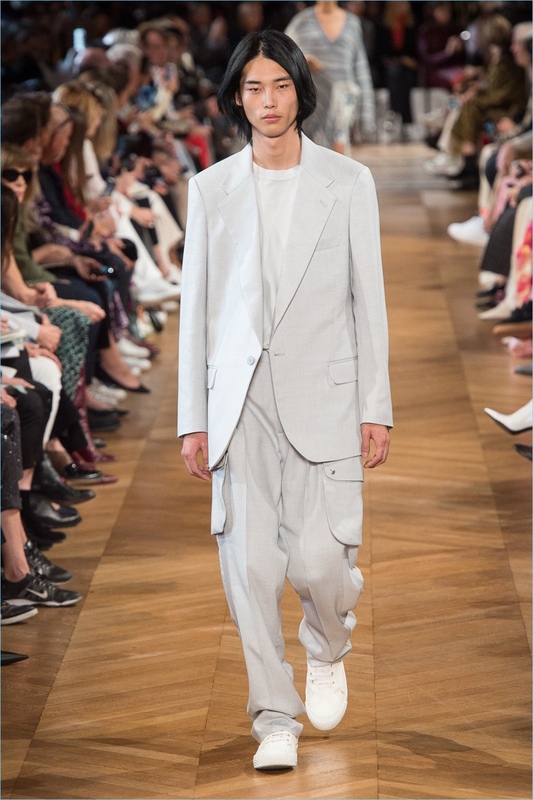 Park Tae Min dons neutral colored tailoring from Stella McCartney's spring-summer 2019 men's collection. 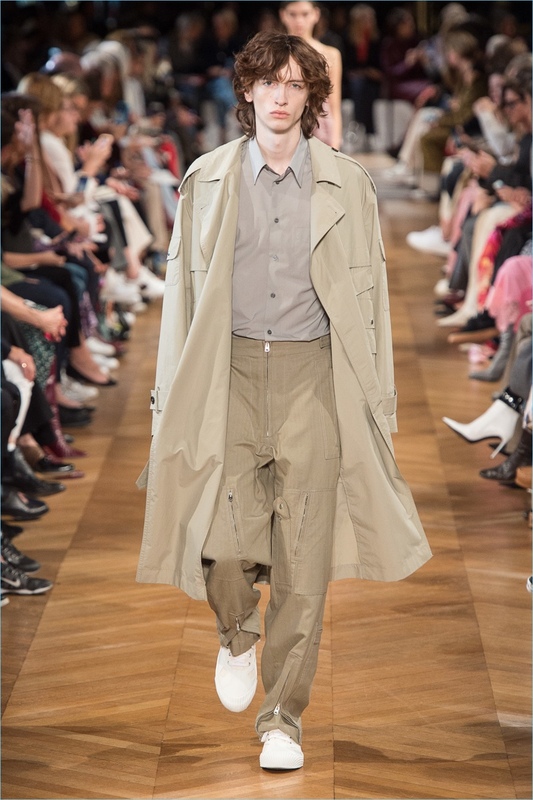 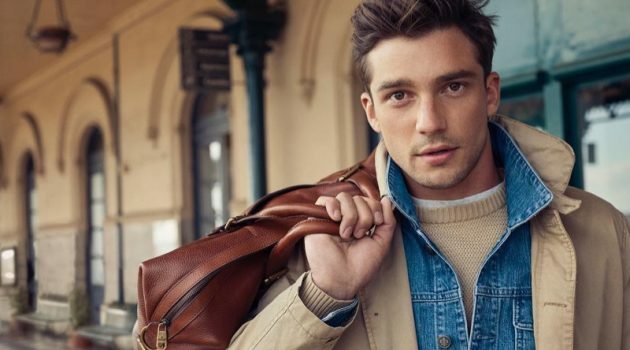 Matthew Petersen sports an oversized trench from Stella McCartney's spring-summer 2019 men's collection. 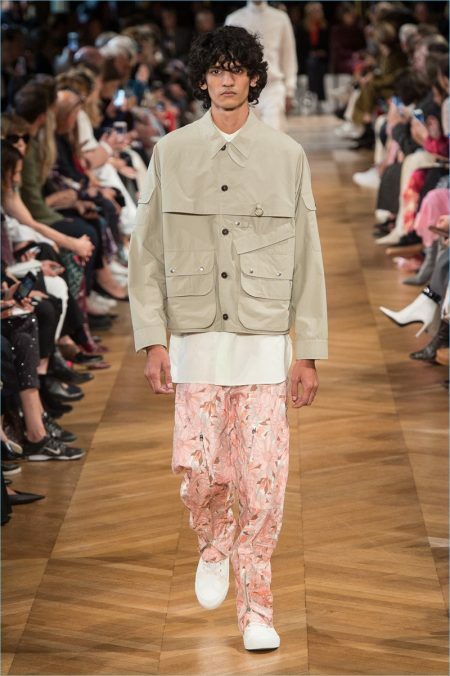 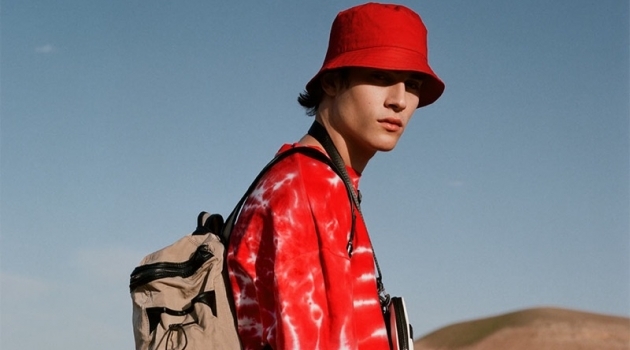 Benno Bulang wears a look from Stella McCartney's spring-summer 2019 men's collection.